Grey Trace (played by Logan Marshall-Green) loses his spouse in a street robbery and then becomes paralyzed by the evil thugs involved. After taking part in a scientific experiment that helps him walk again, Trace forgoes his suicidal tendencies and decides to seek revenge on his wife's killers. That's the gist of 2018's Upgrade, a missed science fiction yarn that blocked its marketing efforts and suffered a lousy box office take last June. Spiked with Tarantino-style violence, Runaway-style car chases, a not too overdone futuristic setting, and some good old-fashioned storytelling, Upgrade rises above most of the direct-to-video sci-fi that it faintly replicates. 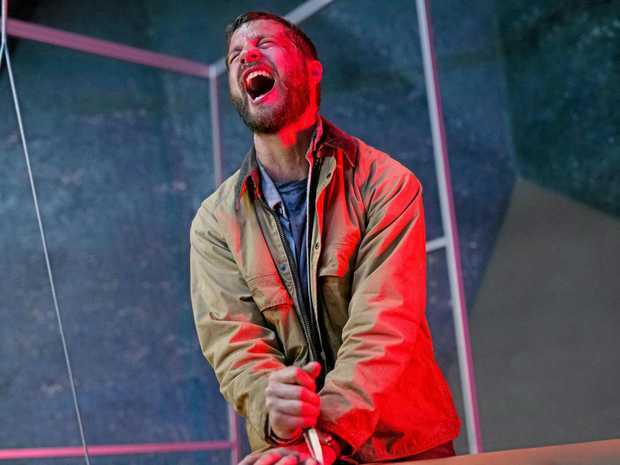 Director Leigh Whannell creates a world full of autonomous cars, numerous roving drones, bloody butchering, and curvy city landscapes. This is coming from the same dude that wrote the Saw movies and acted in Insidious and The Matrix Reloaded. It all comes full circle here. So Yeah, the title of Upgrade refers to Trace's "upgraded" body, controlled by a centipede chip and a hidden voice that feels like Hal 9000 for a new generation. Grey can fight and kill with mechanical efficiency a la Chuck Norris on steroids. He can also run like the wind and expand his brain to play revengeful and deceptive detective. Watching Upgrade reminded me of stuff like Death Wish, Blade Runner, Self/less, and 1990's Total Recall. It's a small scale version of these films while still containing its own form of cold ingenuity (Upgrade's glassy look and budget feel a little more advanced than the $3-$5 million reported). Sure Upgrade contains B-movie plotting, a sort of muddled ending, one too many twists, and actors of unknown origin (Marshall-Green is ruggedly cast but he's a "C" lister at best). Still, the flick is worth a peek if you like your technological gadgetry mixed with gloominess, gore, and noir. Bottom line: Upgrade may have been overlooked this summer but it happily brings you "up to code". My rating: 3 stars.